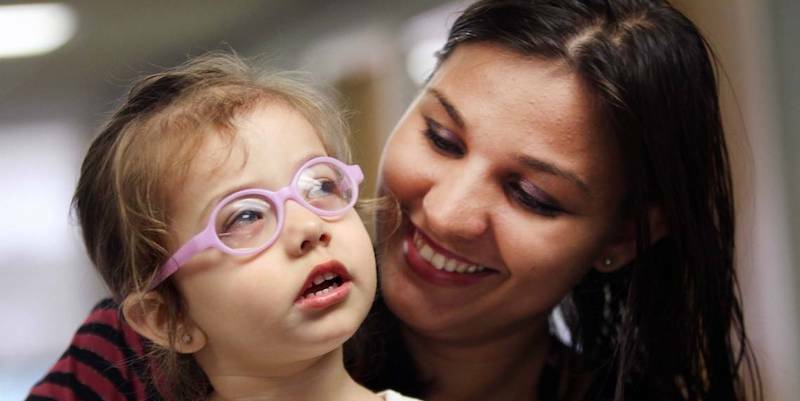 For the first two years of her life, Nicolly Pereira couldn’t see or hear her mother. She had never been rocked to sleep listening to a sweet lullaby and she had never seen the depth of love in her mother’s eyes. Nicolly lived in rural Brazil where she was diagnosed with pediatric glaucoma shortly after her birth. The doctors confirmed that she was not even able to see light. She received 7 surgeries in Brazil, but they were unsuccessful. 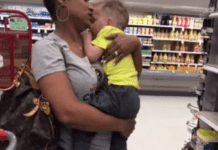 Nicole’s mother, Daiana Pereira, posted her daughter’s story on Facebook and it went viral. More than 30,000 people started to follow what was now a mission to help this precious toddler to one day see. A Miami viewer contacted the Jackson Health Foundation’s International Kids Fund and they partnered with the Kevin Garcia Foundation. Together, the organizations raised more than $17,000 to pay for Nicolly’s surgery at Bascom Palmer in the United States. 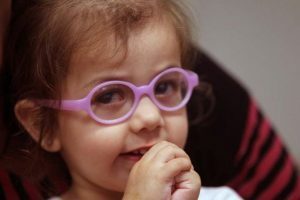 Alana Grajewski, director of the institute’s pediatric glaucoma center, performed a three-hour surgery on March 17 and was able to restore little Nicolly’s sight, an achievement she had not thought likely. Nicolly’s eye pressure was at 50 when a normal child’s pressure is between 10 to 20. After the surgery it decreased to 12. “It was amazing,” Grajewski said. “Everything came together. The first day after surgery she had eye patches on both eyes.” But even with the patches, Nicolly knew something was different. She was smiling from ear to ear. 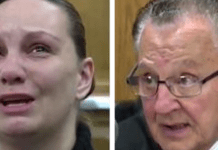 No one who witnessed the first time Nicolly saw her mother could have had a dry eye. A huge smile filled her face and she instantly pressed her forehead against her mothers and placed her tiny hands on her mother’s shoulders. It was the picture of a miracle. Daiana, Nicolly’s mom, believed that her daughter was also deaf. But after a specialist examined her, he realized that Nicolly just had fluid buildup in her inner ears. 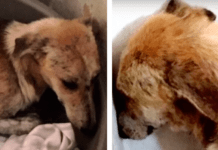 A 30 minute surgery was performed to drain the fluid and her hearing was restored. Nicolly can now hear, see, sing and even stand on her own. She is nearsighted so she sports some smashing rose colored glasses. What a wonderful story. . .what a modern day miracle. . .what a precious little girl!